SHEFFIELD WEDNESDAY captain Tom Lees has welcomed the opportunity for Steve Bruce to “put his own stamp on things” this summer as a double figure tally of players fall out of contract. The Owls’ hopes of gatecrashing the play-offs were effectively killed off by the weekend defeat at Leeds United. Wednesday sit six points adrift of Bristol City in sixth place but have played a game more than Lee Johnson’s men and have a vastly inferior goal difference. Derby County, two points behind the Robins in eighth place, also have a game in hand on Bruce’s side, who before the trip to Elland Road had lost just once in 14 league outings. It means attention has already started to turn towards what is shaping up to be a summer of major change at Hillsborough due to 11 players who have featured for the first team in 2018-19 seeing their existing deals come to an end. These include Keiren Westwood, Gary Hooper, George Boyd and Marco Matias, while loanees Michael Hector, Josh Onomah, Achraf Lazaar and Rolando Aarons will all return to their parent clubs. Bruce, therefore, has plenty to ponder in his quest to turn Wednesday into genuine promotion contenders next season. If he had a squad he was not happy with but had to work with it anyway then that makes things more difficult. From next season, he can have the squad he wants. It is then up to us to buy into it and show we deserve to be here next year. “There is a reason why the manager had to come in,” captain Lees told The Yorkshire Post when asked about the likely overhaul that will take place during the close season. “It will not happen overnight. But the good thing this summer is the manager can put his own stamp on things. Get the team how he wants it to be. “I know there are a lot of people out of contract but, in some ways, that is likely to be a good thing. “If he had a squad he was not happy with but had to work with it anyway then that makes things more difficult. “From next season, he can have the squad he wants. It is then up to us to buy into it and show we deserve to be here next year. “He is a proper manager. That is the best way to describe him. He has played the game at the highest level and his mentality rubs off on you. Finances, as ever, will dictate much of what happens in the summer. Wednesday were forced to operate under a transfer embargo between April and August last year after falling foul of the Football League’s Profitability and Sustainability rules, which state clubs can lose up to £39m over three years. 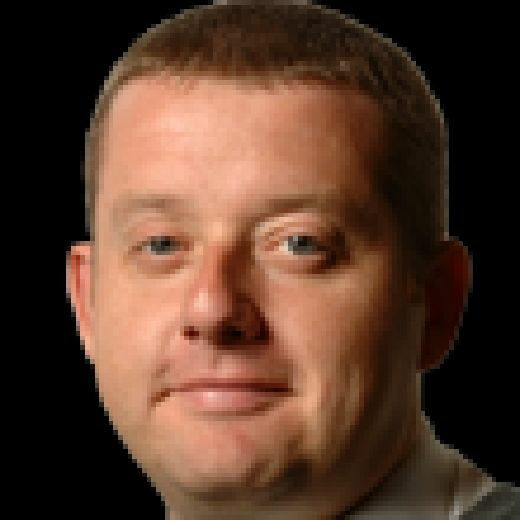 The Owls’ accounts covering the 2017-18 season are yet to be released, the club having moved their accounting year end back to between May 31 and July 31. This means the deadline to lodge the latest financial figures with Companies House is not until the end of this month. But Wednesday lost more than £20m in the last available accounts, double the deficit in 2015-16. Chairman Dejphon Chansiri warned in January that “another soft embargo” is possible. Amid these financial restrictions, Bruce must make a number of big calls. Westwood, for instance, remains one of the best goalkeepers in the Championship, while Hooper has impressed since returning from a long-term injury. The likely departure of David Jones, Almen Abdi, Daniel Pudil, Boyd and possibly Matias would represent a significant saving on wages at a club who will have big earner Jordan Rhodes back on the books once his loan at Norwich City comes to an end. Westwood, after being restored to the side following Jos Luhukay’s departure in January, is perhaps the one soon to be out-of-contract player who the Owls need to keep. His man of the match display at Elland Road on Saturday underlined the quality he brings to any side at this level. 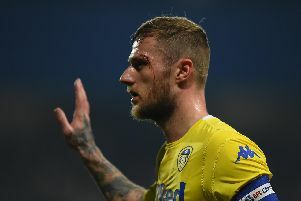 Asked specifically whether Wednesday should try to keep the Republic of Ireland international on board for next season, Lees replied: “He got called upon a few times to keep us in the game (at Leeds). He did very well. That was clear for everyone to see. “I would love to see him stay, of course. His performances speak for themselves. There will be a lot of decisions made this summer but, if you look at this one, it is one that looks straightforward. Westwood will again be in goal when Bruce’s side return to action on Good Friday at Norwich. With the game having been shifted to an evening slot by Sky Sports for live broadcast, Wednesday could be even further adrift of the top six come the 7.45pm kick-off. “We have to look at it as we always have,” said Lees, when asked about whether the Owls can still make the play-offs with a late surge of form.